Click on the picture to download the complete 2-page document. free. I think the world might be in a much better place if the Scouts were running it! meantime, you can give Brand Bingo a try). that the packaging has been recycled or can be recycled. Instead, it means that the company has made a contribution to packaging recovery and recycling in Europe. In Wiltshire, plastic bottles of any colour can go in the blue bin. This includes: washing up liquid bottles, bleach bottles, laundry liquid and fabric conditioner bottles, cooking oil bottles, drinks bottles, juice or squash bottles, milk and yoghurt drink bottles, handwash bottles, and shampoo/conditioner bottles. It does NOT include plastic tubs or yoghurt pots, among many other things. In Bath, the guidance is that “Any plastic bottles (including drinks, shampoo and bleach bottles), plus pots, tubs and trays used to hold food” can go in the green bin. with the wrong materials means it all has to be scrapped and sent to landfill. 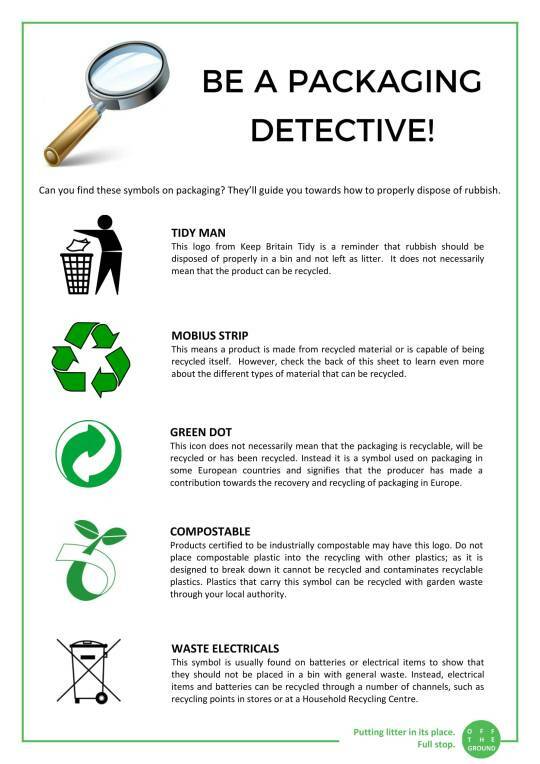 So please take a few minutes to check that you’re sending the right products to be recycled where you live – check out Recycle Now or Google “recycling in [your county]” for more information.